Used between the framed studs of walls, floors and ceilings, in attics or to seal off a crawl space, spray foam insulation can be installed nearly everywhere. Its expansion is especially appreciated for its total coverage. Tidewater Insulators uses BASF Sprayed Polyurethane Closed Cell Foam, a two-component spray foam insulation system that, when installed, combines to create a chain reaction that bonds to the substrate as it foams up. The spray foam dries, cures and hardens to create a continuous air barrier that gives you the insulation you need in your attic, walls, basement or crawl space. Spray foam insulation should be installed by a trained professional—someone who has been trained in the correct installation safety precautions and possesses the required equipment to mix and apply the product. When installed properly, spray foam insulation can help reduce energy costs and help improve indoor air quality. Request a spray foam insulation quote today for service in Hampton Roads and the surrounding area by giving us a call at 757-828-0024! As experts in the insulation industry, we guarantee a job well done. If you’re not happy, our job isn’t done. Request a quote on spray foam today! 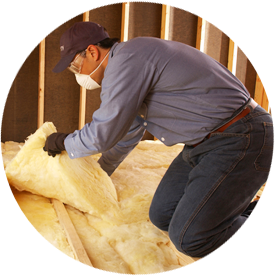 To schedule your insulation job in the Virginia Beach area, call 757-828-0024 today. Need Spray Foam Insulation Contractors in Virginia Beach? If you’re in the Virginia Beach area and need spray foam insulation contractors, Tidewater Insulators is the company to call! We have the right equipment for installing any type of insulation and can recommend where you should install it in your home. Our Norfolk area insulation contractors can even determine if spray foam insulation is the right product for your home or if another type of insulation would be better. The type of insulation you install depends on a range of factors, including the climate you live in, how old your home is, the type of HVAC system you have, where in your home you need to insulate, etc. We are the spray foam installers you can trust! Schedule a FREE Consultation for Your Spray Foam Insulation in Hampton Roads, Virginia! Want to insulate your attic, walls, basement or crawl space? Tidewater Insulators has installed spray foam insulation for homes in Richmond and throughout Norfolk, Hampton Roads, Virginia Beach and Newport News, VA, for over a decade. Never wonder “where can I find spray foam insulation contractors near me?” again! Schedule a FREE consultation with our spray foam insulation contractors in Virginia to find out how you can save money today! Give us a call at 757-828-0024 to speak to one of our insulation experts.